Young automechanic showing a smiling client a clipboard at a repair shop. Be your car’s best friend, and you can save a bundle. By conducting regular preventative maintenance, such as regular oil changes and radiator flushes, you prevent unnecessary damage to the car and save a lot of money in the long run. Regular checkups by a qualified repairperson will keep your car running better, longer. Even automobiles need to take a break now and then. If you drive your car everyday the miles will add up quickly, and damage can occur prematurely. To avoid this, consider carpooling with friends and coworkers. Ask around to form your own carpool group. You’ll all save on maintenance, and you’ll be able to pool your fuel and parking expenses. 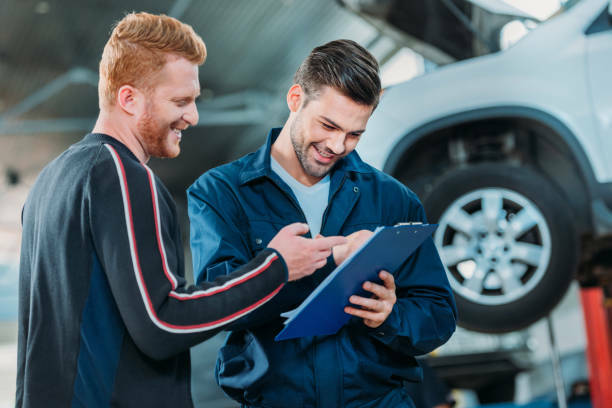 Before choosing a mechanic to repair your car, be sure to get a written estimate. If the mechanic wants more than your budget can afford, shop around. Compare estimates to find the best deal. Just be sure that you are paying for quality service..